Laptop bags can be expensive, to the point that buying one sometimes feels just as expensive as the pricey piece of hardware you plan on stuffing in it. But it doesn’t always have to be that way. 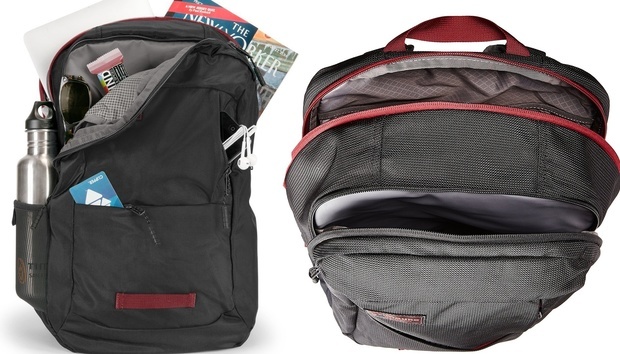 If you’re looking for a bag on a budget, right now Amazon is selling the Timbuk2 Parkside Laptop Backpack for a cool 48 percent off. That brings the price all the way down from $69.00 to $36.05 shipped (if you have Prime), but you’ll have to buy it in black and red for the pricing. We’ve seen several discounts on this bag in the past, but only once before have they ever gone so steep. Empty, the Parkside backpack weighs 1.6 pounds. It can fit a 15-inch laptop just fine—which makes it ideal for Apple’s products—and it comes with all sorts of handy pockets for charging cables, AirPods, or battery packs. For that matter, it’s got a pocket for a water bottle, and the back is ventilated to keep you from sweating too much while wearing it on a hot day. And best of all, the existing buyers seem to love it (and based on our previous experiences with Timbuk 2 bags, they have good reason to). It currently holds a 4.4 rating (out of 5) from 259 reviewers on Amazon, many of whom praise its roominess, durability, and strong stitching. The only real downside seems to be that it doesn’t stand up straight when it’s empty.